Arkansas allows school districts substituting the United Nations International Baccalaureate Organization courses (called IB or IBO), for Advanced Placement Classes. This is of great concern to many educators and citizens in Arkansas. 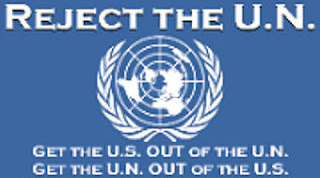 Click to review prior our prior posting and background info on the UN IBO program and its implementation in Arkansas. Hot Springs has a graduation rate was 56.4% down from the 83.5% rate in 2000, before Hot Springs began the IB program. State average is 81.3%. College remediation rate of 67 up from 53% in 2002-03 year. State remediation rate is 51.6. ACT score in English 17.8 and Mathematics 18.1 down from the 2002-03 ACT scores in English 20.3 and Math 18.5. Current State average is 20.9 and 20.5. End of Course Literacy (11th Grade EOC) score was 37% proficient; state average score was 47%. Less than 1% of their students scored Advanced on this test. 9th grade Reading score was 41st percentile on the nationally normed test; the state average was 52. Read more statistics, information & references documenting the above concerns with the UN IBO program in Arkansas.